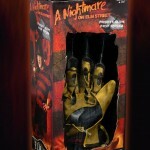 NECA is releasing a Nightmare On Elm Street Freddy Krueger’s Glove Prop Replica. 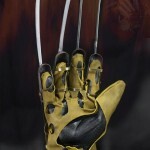 Upon close examination, however, you notice is the upcoming Nightmare On Elm Street Freddy Krueger Glove Prop Replica! 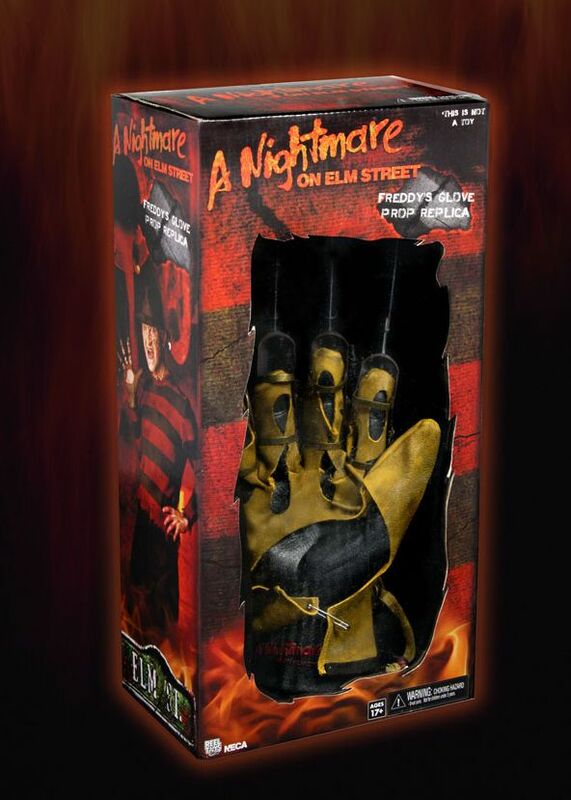 “At long last a handmade replica of the original NOES Freddy glove from the 1984 debut film. 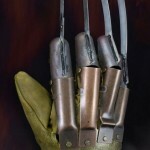 Handcrafted and made of real metal the glove has every detail as seen on screen. Includes distressed leather-like glove with the metal attachments riveted to the glove. Sized to fit most adults. Discuss on the Toyark Forums› Views: 8823 › Credit: BlackMagnus of the Toyark Forums! 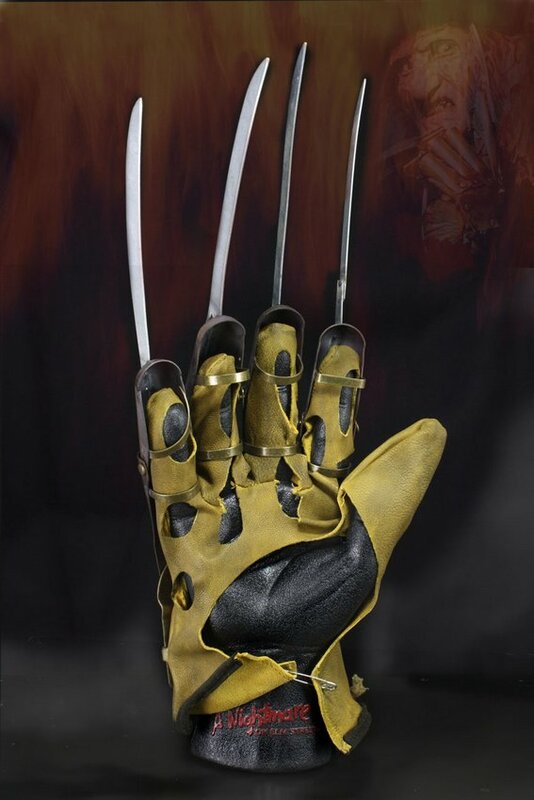 nicely done, it's not uncommon for anybody to find a Freddy glove at a comic shop or retail outlet around Halloween, but the actual hand base is a nice touch, especially with the name branded on it. The glove itself looks well made.. wonder if it's real blades.. doubt it.